Preset Process Parameter Controls (3 Modes) for easy process changeover. Real-Time Temperature Monitoring with rapid thermal recovery technology. ESD Safe, with ESD Monitoring Functions Available. 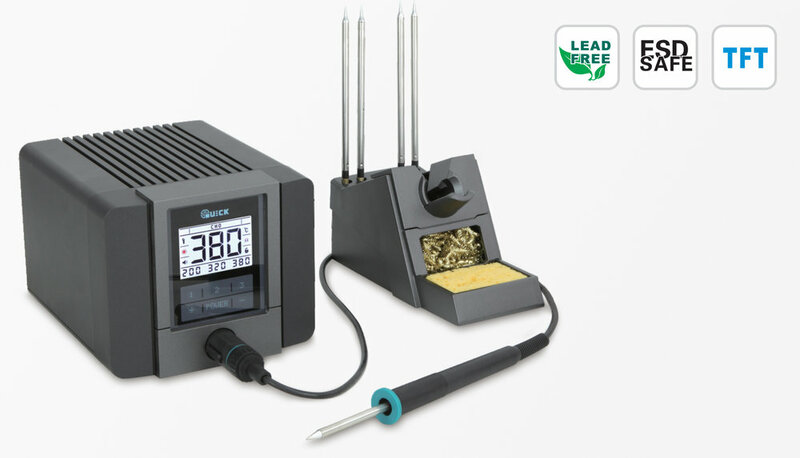 The QUICK TS1200 is an intelligent lead-free soldering station. 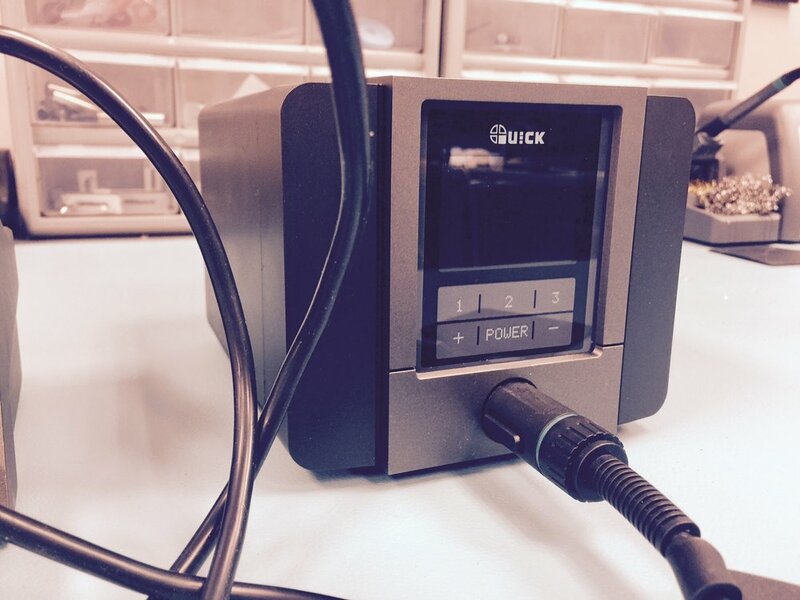 Utilizing a 120 watt power supply, This system is great for meeting the everyday challenges of most soldering applications and offers consistent soldering quality. The station features all new ergonomic design and brilliant LCD Display.